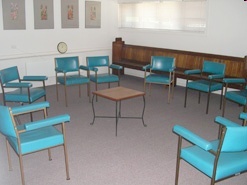 There are two rooms which are able to be hired out (at the Churchwardens discretion). Ample off-street parking is available in Sims Street. 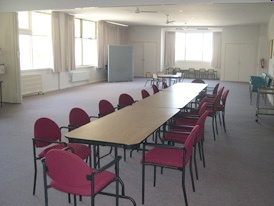 Cater for approximately 80 people in either a sit-down at tables formation or in a lecture theatre format. Lower Level Room - "Bingham Room"
This is the smaller of the two rooms.